Gustave Baumann is best known for his warmly colored woodcut prints, whose restrained and modest look belies their complexity and the hard, skilled work that went into making them: Baumann's prints often involved seven blocks. 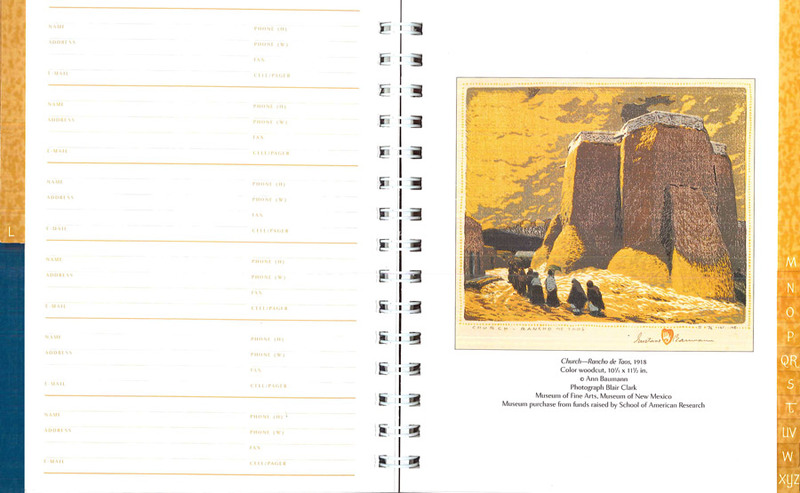 He worked in gouache and watercolor as well—usually as studies for his woodcuts, but the paintings stand as compelling art in their own right. 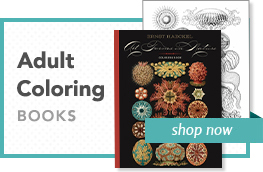 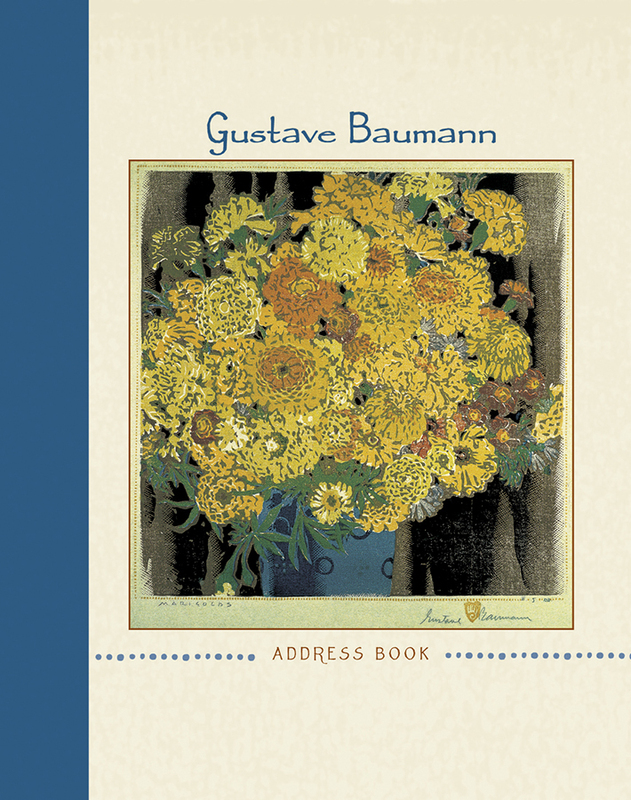 This elegant address book presents a sampling of Gustave Baumann's work in all three media.